I used to chat online with Shehla Masood about India's corruption. I would provide her links to videos and to this blog to better inform her about the system and its internal mechanisms. 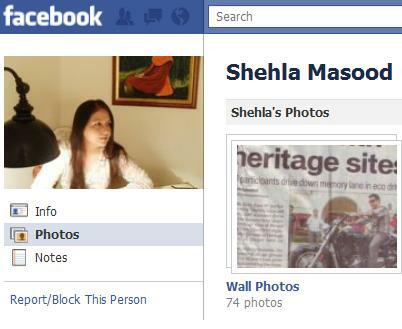 She opened up a facebook group at http://www.facebook.com/shehla.masood. She was a dedicated activist fighting corruption and wrongs in India. Needless to say it's a shock when something happens hits home, right within the sphere of your consciousnesses. Today, i am sad to announce that I found out that Shehla Masood has been assassinated. The greedy coward psychopaths were responsible for it. They tried to declare it a suicide but people are not buying it. This assassination comes at a time when the Indian public is up and arms about corruption. The Indian government has detained an anti-corruption activist by the name of Anna Hazare. The public is marching on the streets demanding his release and reformation of the system. "I used to chat with and email Shehla about her activism. I didn't know much about her but I used to get the updates from this group in my email. One person can make a difference but it's dangerous when only one person is rowing against the current. It makes them an easy and vulnerable target. Activists, there is a something to learn here. Do not sacrifice yourself for a public that is uncaring and unsupportive of the causes Shehla and activists like her fight for. Like Egypt, when and if people are ready to correct things, they will correct. The best way to defeat the enemy is by educating the masses by exposing and pointing out the crimes. The Egyptians first had to educate themselves first to know what they were fighting exactly. They then had to act as as a mass. People are so stubborn, they don't do anything until the worst of circumstances are upon them. My deepest condolences to the Shehla's family and thank you Shehla for being such a wonderful human being." "To show solidarity, each individual in India should open a new RTI case in her memory, just as Shehla had done. Or join the organizations she joined to save the wildlife,etc and go protest (as an activist) on her behalf just once. Show strength not weakness." "People, get together and continue to work of Shehla Masood. Follow up on her RTI requests to their end. Show the dastardly crooks that they cannot stop what's been started. They have to fear us more than we fear them." RTI = Right To Information. The government must produce public documents when request of information is filed.